When the Heck is AM5 Releasing? 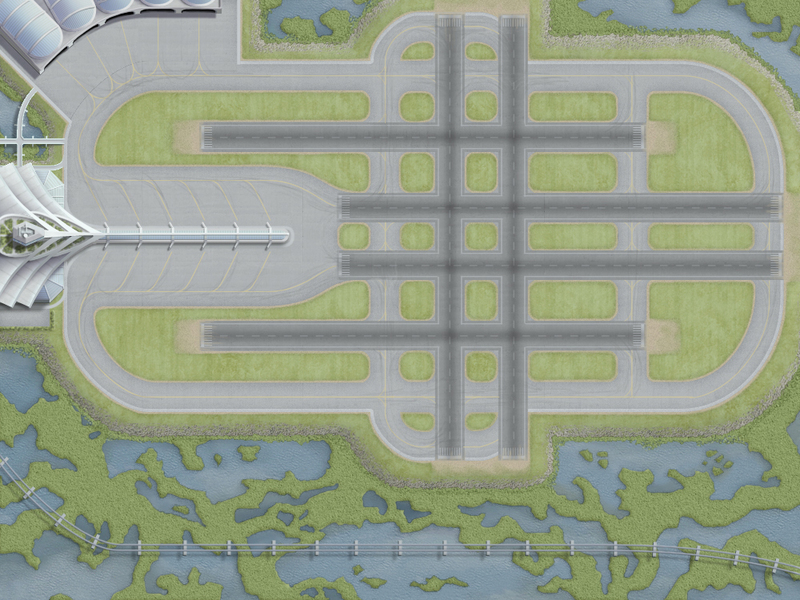 Here is another screenshot teaser of Airport Madness: Time Machine. The above shot is ‘the future’, 2172 to be exact. It doesn’t look like much without the aircraft, which have a very futuristic look and behavior. Basically, we feel that in the future, planes will be bigger and faster. Airports will be designed more efficiently. And yes, there will still be runways. The official release date is “May”, with quotation marks around it. That means May 31, at midnight. Honolulu time, if you get my drift. Airport Madness: Time Machine is progressing nicely, but taking forever. Most of the artwork is done, now it’s on to fixing bugs, adding sound effects, music and polish. Oh, and testing, almost forgot that one. I’m always amazed by how much the to-do list grows at the last minute. Fore a while there, I actually thought we’d be launching on May 1. I’ve got a month still, so I’m not panicking yet. You will know when we are panicking, because you won’t hear a peep from us. Not an email, nor a tweet. Not a blog, facebook update, newsletter, or YouTube video. This game will be a good one! This entry was posted in Airport Madness 5, Airport Madness: Time Machine on May 1, 2013 by admin.